My life's work has been to create the most interesting, most innovative comics I can make... but I am rarely paid a living wage for the time it takes to complete my comics pages. This is where you can help! 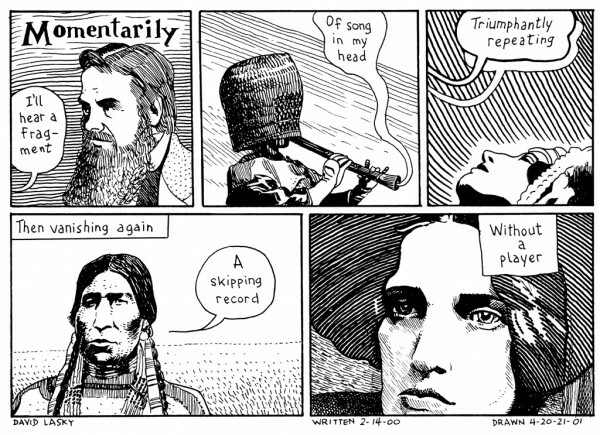 You may have read one of the graphic novels I co-created, the Eisner Award-winning Carter Family: Don't Forget This Song or Oregon Trail: Road to Destiny. Or maybe you've followed my work on Facebook, or elsewhere on the Internet. Maybe you've enjoyed my comics in anthologies like The Intruder, Best American Comics, or DUNE. 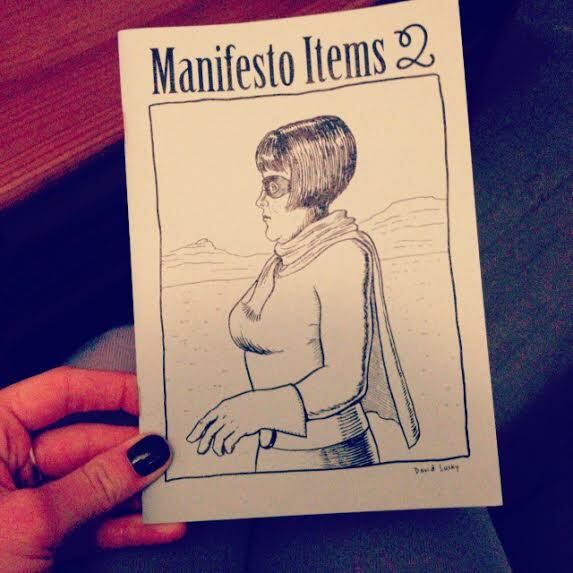 Or maybe you've read one of my comic books like "Boom Boom", "Urban Hipster", or "Manifesto Items". Believe it or not, when I do the math, I have made less than minimum wage for most of the comics I've ever drawn. Can we turn this around? If you like my work, here is a chance to support my graphic novel efforts, as well as my shorter comics. I am requesting a monthly donation, as much or as little as you like, because it will support my work from month to month, whatever project I might happen to be working on. (In the year ahead, I am looking at a possible new collaboration with Frank Young, and possibly some more adaptations of classic poems.) I will continue to post free content on Facebook, Tumblr, and elsewhere on an irregular basis... But I will post my latest work and updates here every week, where you will see it first. If you would like to say "thank you" for the free content I provide online, or in publications such as "The Intruder", $1 or more per month would be greatly appreciated! If every one of my Facebook friends sent me a dollar every month, I would be making a living from comics. For just $3 per month, you will have access to all my exclusive updates and progress reports. This includes sketchbook work, and a look at projects in-progress that no one has seen yet. For $5 per month, you will have access to all my updates and progress reports. (This includes sketchbook work, and a look at projects in-progress that no one has seen yet.) PLUS: I will also send you any zines and mini-comics I self-publish during the year. Donate at least $10 per month ($120 per year) and receive a drawing or comics page at the end of the year. I will also send you any zines and mini-comics I self-publish during the year. You will also have access to all my updates and progress reports, including sketchbook work, and a look at projects in-progress that no one has seen yet. Patrons who donate at least $100 per month will receive a finished drawing (or comics page) from me EVERY MONTH (you would be like a real patron, basically). The page will come from whatever project I happen to be working on at the time. I will also send you any zines and mini-comics I self-publish during the year. You will also have access to all my updates and progress reports. I will be extremely grateful to anyone at this level, and may just surprise you with bonus materials. This is a way of showing me you're looking at my work and appreciate it. It will give you exclusive access to my general Patreon updates. For $5 per month, you will have access to ALL my exclusive updates and progress reports. This includes sketchbook work, and a look at projects in-progress that no one has seen yet. But that's not all: You will also receive any comic books and zines I self-publish during the year. At this generous level I will reward you with art! At the end of the year, I will send you an original drawing or comics page! 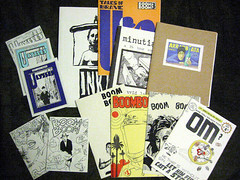 You will also receive any comic books and zines I self-publish during the year. An original, one of a kind comics page or drawing (which I choose for you) will go in the mail to you every month! ONE DRAWING OR COMICS PAGE PER MONTH - YOU WILL BE MY ACTUAL PATRON. You'll have access to all of my exclusive Patreon updates and progress reports. I will be so genuinely grateful to you, that I may also send you bonus materials. Pencils, paper, erasers... Reaching this goal will allow me to have the basic supplies every month. You all will have my gratitude.